Listen pal, you can't just waltz in here, use my toaster and spout universal truths without qualification! I am a pure mathematician interested in various aspects of geometry, topology, category theory, metric spaces and quantum algebra. I am a Catster and a host of the n-Category Café. The Catsters consists of my colleague Eugenia Cheng and me. We have put up instructional YouTube videos on Category Theory. You know that I write slowly. This is chiefly because I am never satisfied until I have said as much as possible in a few words, and writing briefly takes far more time than writing at length. Algebraic & Geometric Topology 10 (2010) 1455-1519. math.DG/0602653. See also Justin Roberts'talk. Int. J. Modern Phys. A 18 Supplement (2003) 115-122. Math. Proc. Camb. Phil. Soc. 132 (2001) 117-130. 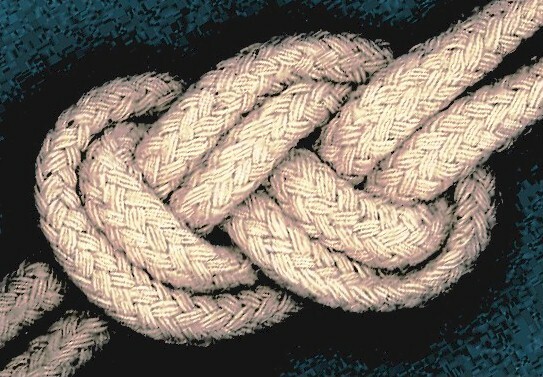 Knots in Hellas '98, Series on Knots and Everything vol 24, World Scientific, 2000, 530-546. Knot Theory, Banach Centre Publications 42 (1998) 457-463. J. Knot Theory Ramifications, 7 no. 4 (1998) 519-526. Math. Proc. Camb. Phil. Soc., 119 (1996) 55-65. Nature 368 103-104, 10 March 1994. (official abstract) Edinburgh University PhD Thesis, July 1997. This contains material from the above papers together with ideas on the relationship between Vassiliev invariants for pure braids and de Rham homotopy theory. Essay for Part III of the Cambridge Mathematical Tripos, May 1993. A survey of Bar-Natan's paper On the Vassiliev knot invariants, which contained some additional work of my own. Dualities, enriched categories and metric spaces, November 2014. Magnitude and other measures of metric spaces, July 2012. Magnitude of Metric Spaces II, September 2010. A prequel to this talk, Magnitude of Metric Spaces I, was given by Tom Leinster. Traces in Low Dimensional Algebra, November 2009. Measuring metric spaces: short sightedness and population diversity, SoMaS Colloquium, March 2009. Work through an example of torsion in magnitude homology based on the work of Kaneta and Yoshinaga. See the first in a Sheffield seminar series on the Leinster-Shulman paper on magnitude homology. Emded 3d models of surfaces into your websites using SageMath. See how the reverse Bessel polynomials (which make an appearance in the magnitude of balls) have a combinatorial interpretation. Download a talk on instantaneous dimension. Read about Barcel'o and Carbery’s calculation of the magnitude of odd dimensional balls, utilizing the potential theory developed by Meckes. See how there’s a homology theory for graphs with magnitude as its Euler characteristic. Perform a magic trick using the power of maths. Get the second installment of how Legendre-Fenchel duality is an example of the profunctor nucleus construction. Remind yourself about basics of the Legendre–Fenchel transform. End your ignorance of ends! Find out what algebraic varieties, convex sets, linear subspaces, real numbers, logical theories and extension fields have in common with formal concepts. Watch some linear algebra being categorified. See how these three things are related. Read how this notion of size for metric spaces has some interesting properties. Start to see how enriched profunctors can be viewed as categorifications of integral kernels. Discover how enriched category theory leads to the definition of some generalized metrics on the space of continuous functions on the unit interval. See the details of a new paper on the magnitude of metric spaces. Watch some videos to see how I’m trying to make 3d models of categorical surface diagrams. Read about how the volume of a tube around a surface in 3-space depends only on intrinsic invariants of the surface. See how the rational numbers 2 and 3/2 gave birth to the Western musical scale. Learn about the tenuous link between emperor penguins and the magnitude of metric spaces.